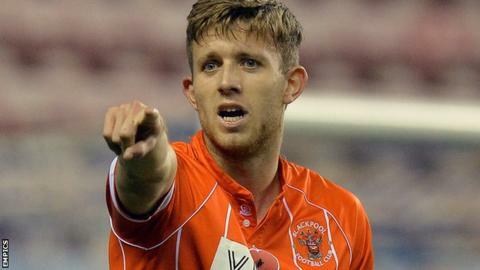 Blackpool have signed Hull City defender Will Aimson for an undisclosed fee after a successful loan spell. The 21-year-old, who has agreed a two-and-a-half-year contract, initially moved to the Tangerines at the start of November and later extended the deal. Aimson spent time on loan at Tranmere last season but broke his leg while at Prenton Park. "We've worked hard behind the scenes to secure his signature," manager Neil McDonald told Blackpool's website. "He's a good, young defender with lots of potential and we'll try and get that potential out of him as much as we possibly can."